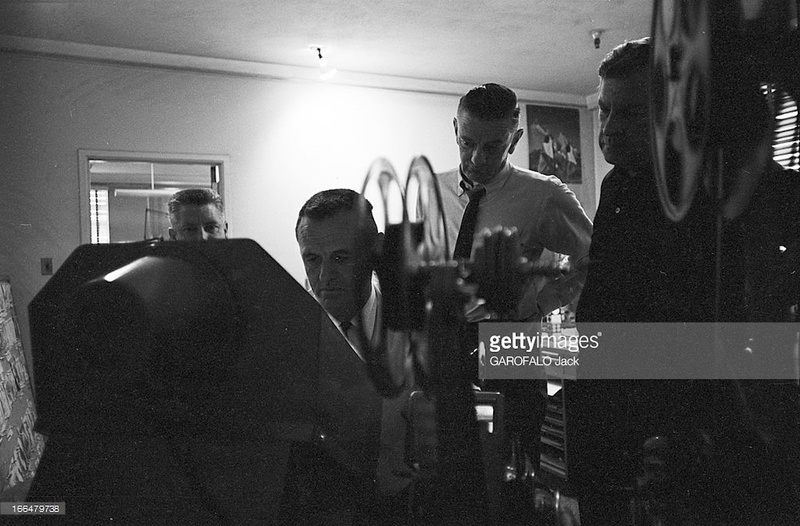 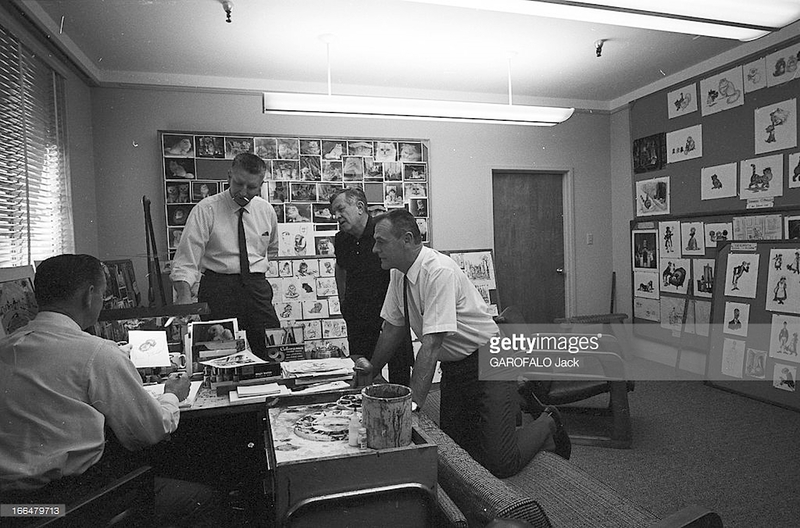 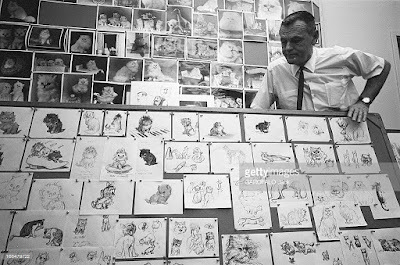 Some wonderful never before seen photos featuring a look into the production process of The Jungle Book and The Aristocats recently surfaced on Getty Images. The pic above shows voice actors Sebastian Cabot, Sterling Holloway and Phil Harris during a reading or recording session. 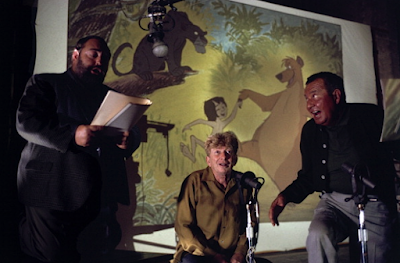 Bagheera, Kaa and Baloo in the same room! 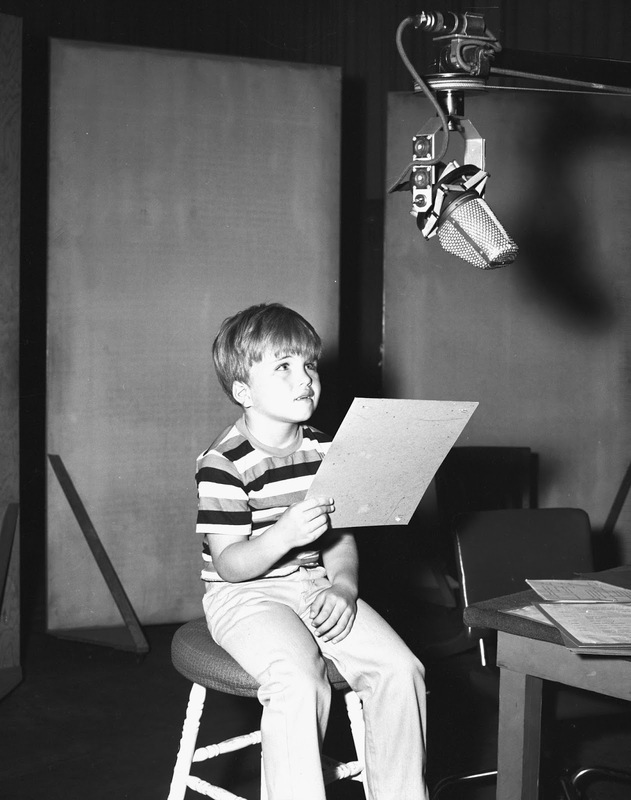 Clint Howard (director Ron Howard's brother) is lending his voice to Colonel Hathi's son. 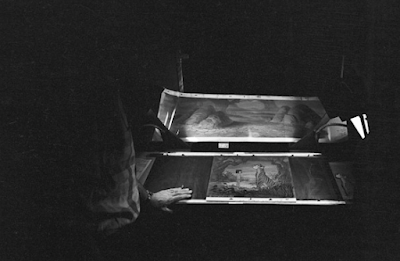 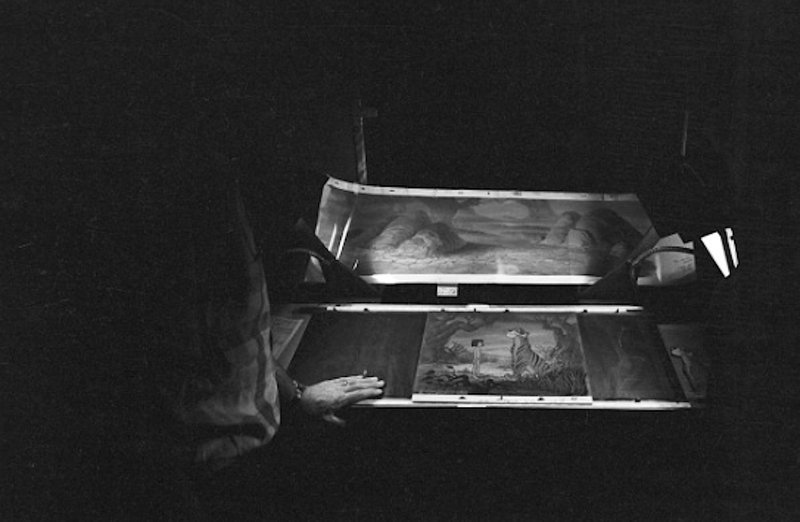 Background painter Al Dempster is arranging stunning Jungle Book backgrounds on story board panels. 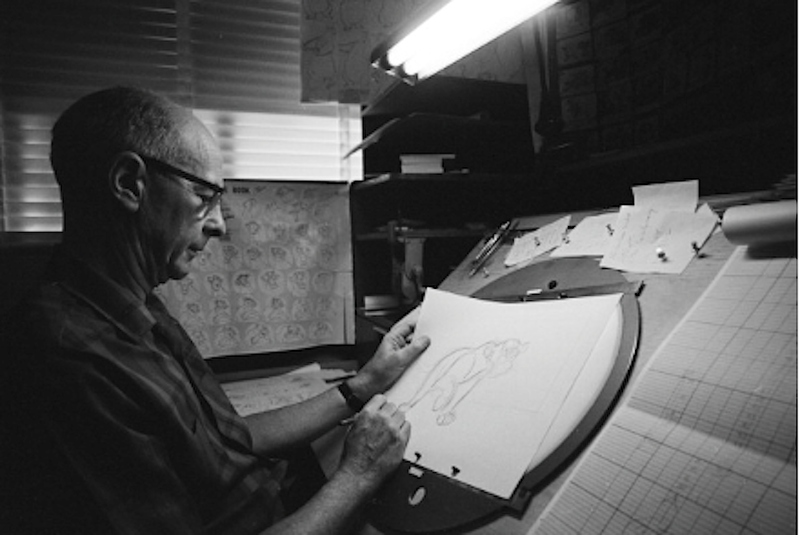 Ollie Johnston animates a scene with Bagheera, the panther. Director Woolie Reitherman, John Lounsbery and a couple of assistants are reviewing pencil animation on a moviola. 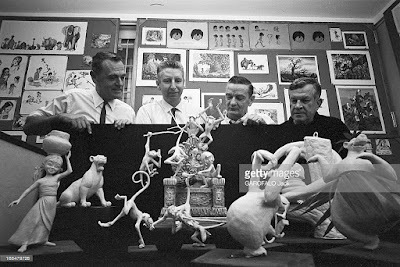 It turns out they are looking at Lounsbery's fight sequence with Shere Khan and the Vultures. 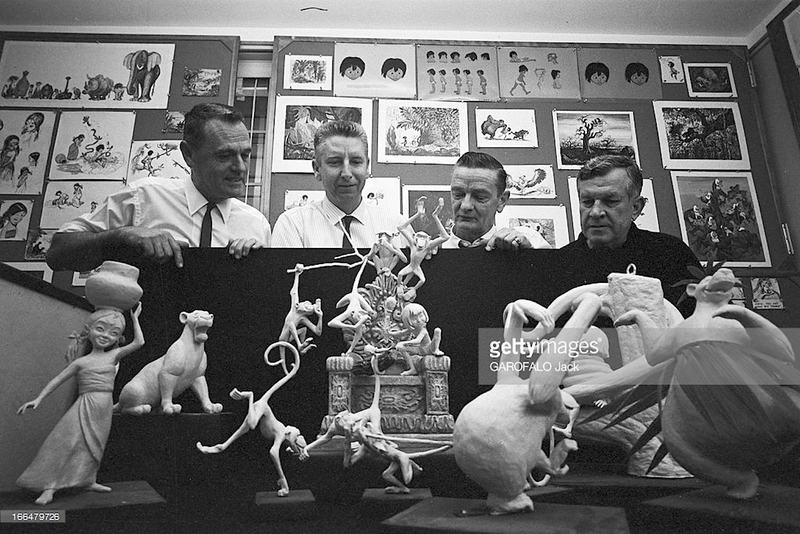 The same group is inspecting Jungle Book character models, which were used to promote the film. 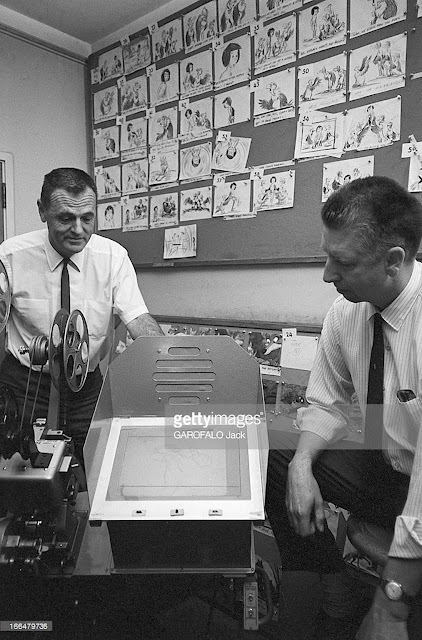 Al Dempster is inspecting a cel from a King Louie scene, animated by Frank Thomas. 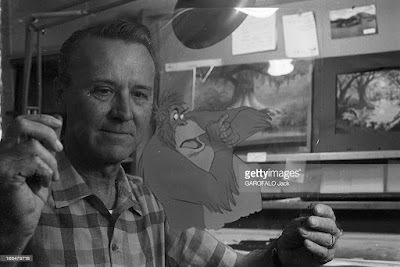 A cel set up featuring Mowgli's confrontation with Shere Khan is being reviewed, before being sent to the camera department. Woolie's mind is already on the next animated feature The Aristocats. He is looking at Ken Anderson's character research. 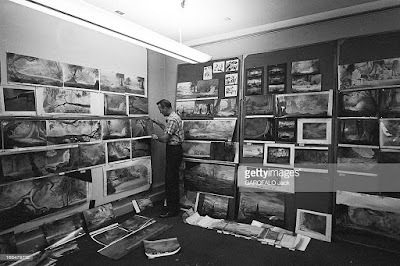 More of Ken's work is being discussed. I don't know when these rate photos were taken, but my guess would be sometime in 1967. Jungle Book wasn't released until later that year, and Aristocats was in pre-production.